"You absorbed Vegeta? Such a shame that he's dead. And soon...you will be, too." 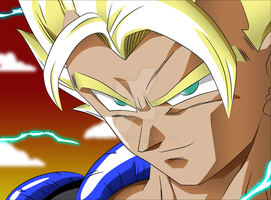 just amazing *_*( one thing buu must be more weak now -..... because vegeta don't reach the level of goku and gohan)? aniway great! but is normal to read (not japanease) because im french. Neo Big Final Beam Cannon (Neo Tri-Beam + Big Bang Attack + Final Flash + Special Beam Cannon + Big Tree Cannon) Vs Super Dragon Spirit Kamehameha!! 1. Goku - HA HA HA! You are not going to show off any more! Because we have found a way to increase our power drastically! Buu- Just for your information, whatever your strategy is, you wont be able to hit me. thanks i have make a similarity with my friend maniaxoi. is the final version from this text but thanks for your help . 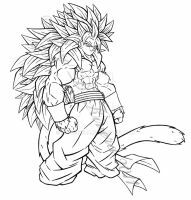 It seems that he absorbed Tien is that true? Epic, he took Tien and Vegeta? yus is it two syllables or one?